Our brand new issue with expanded digital content, “A Patchwork of Our Past,” is now available. Click Subscribe now to ensure you have access to the entire issue PLUS digital films and interview audio clips!! 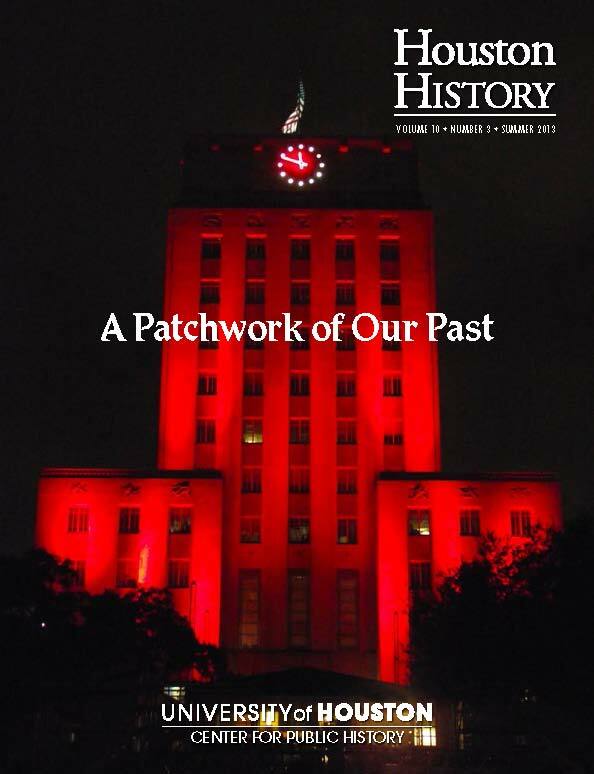 Houston History’s first digital issue is not only a patchwork of our past, it represents an exciting collaborative effort between the University of Houston’s Honors College and the Houston History Project in the Center for Public History. During the 2012-2013 academic year, students in the Regional History class had an opportunity to learn about the Houston area and its relationship to state, national, and world events while engaging in hands on history. Each student conducted an oral history, wrote an article for the magazine, and created a digital mural (now converted to video) for the class website. This issue is a sampling of that work. By involving students in the process of creating historical record, not just memorizing it, they develop critical thinking skills, they learn how to gather and evaluate evidence, and they have an opportunity to present their findings to varied audiences in both print and new digital media. 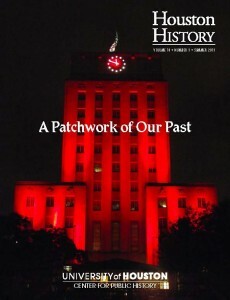 All of us at Houston History look forward to publishing more of these articles in the future and hope that you will enjoy the expanded content as much as we enjoyed creating it.